Once more, my futile quest to read everything online and bring you the best of what you didn’t catch from, ah, last month. Offline I’m still finishing Spook Country — I read slowly — and I’m listening to my iPod shuffle everything. But first! Are my aggregation digests even legal? Kimberley Isbell has a paper on it, and fittingly, the paper’s aggregated by Nieman Lab. In many cases, Blog Aggregators will have the strongest claim of a transformative [and therefore legal] use of the material because they often provide additional context or commentary alongside the material they use. Blog Aggregators also often bring to the material a unique editorial voice or topic of focus, further distinguishing the resulting use from the purpose of the original article. Newt Gingrich, a clever moron, is worried we might refer such legal questions to an imam. He’s called for federal legislation banning Sharia law. In related news, his fans probably don’t get out much. Some guy in a park, probably a Gingrich admirer, threatened to burn a Quran. But skateboarder Jacob Isom is too awesome to let that happen. “I snook up behind him and took his Quran. He said something about burning the Quran. I said ‘dude you have no Quran’ and ran off,” Jacob Isom tells NewsChannel 10. The 23 year-old says he is an Atheist and will not follow any spiritual guidelines written down in a book. However, he does believe in religious freedom. Surveys have found that most Americans believe, incorrectly, that many common techniques used by corporations to keep track of their online activity are illegal. Though it may seem innocuous to attach a chip to our preschoolers’ clothes, do we really want to raise a generation of kids that are accustomed to being tracked, like cattle or warehouse inventory? It is a dangerous decision — one that, as the dissenting judges warned, could turn America into the sort of totalitarian state imagined by George Orwell. It is particularly offensive because the judges added insult to injury with some shocking class bias: the little personal privacy that still exists, the court suggested, should belong mainly to the rich. The WSJ has a feature on the American Computer Museum, which is in Montana and which has a museum-crusty website. In 1970 James Gunn interviewed Rod Serling, and thanks to this person, the long-lost recording of the interview now sees light/pixels/whatever. All over the place, lack of sleep is being linked with obesity, including in this NPR article. The stock market has as much to do with the real economy as the weather has to do with geology. Day by day there’s no relationship at all. Over time, weather and geology interact but the results aren’t evident for many years. The biggest impact of the weather is on peoples’ moods, as are the daily ups and downs of the market. The real economy is jobs and paychecks, what people buy and what they sell. And the real economy — even viewed from a worldwide perspective — is as precarious as ever, perhaps more so. And: more stuff about the stock market that makes no sense (Boing Boing). Are you merely skimming this post? In a new study mentioned on Brain Mysteries, scientists used gadgetry that tracks the eye movements of readers to determine who was paying attention and who was not. I need me some of that gadgetry. But all is not well in leftist (center-left?) land, because Glenn Greenwald is always there at Salon.com pointing out failings of the Obama Administration from a progressive standpoint. Check out those headlines Greenwald mentions. Nevertheless, I fall into the group of those leftists who think Obama’s probably doing the best he can given powerful interests, known and unknown to us, that he can’t successfully combat. (For instance, see this enigmatic tweet from Wikileaks.) Nevertheless, I realize my position basically boils down to “Have faith in the guy,” which isn’t good citizenry; therefore, regardless as to how progressives read the tea leaves for Obama’s motivations, they should keep up pressure on politicians, maintain inquiry and doubt, and vote. Obama supporters who are dutifully insisting that the President not only has the right to order American citizens killed without due process, but to do so in total secrecy, on the ground that Awlaki is a Terrorist and Traitor, are embracing those accusations without having the slightest idea whether they’re actually true. All they know is that Obama has issued these accusations, which is good enough for them. That’s the authoritarian mind, by definition: if the Leader accuses a fellow citizen of something, then it’s true — no trial or any due process at all is needed and there is no need even for judicial review before the decreed sentence is meted out, even when the sentence is death. I don’t think the executive branch should have carte blanche to secretly kill American citizens who aren’t charged with crimes and who aren’t allowed recourse to the judicial system. I don’t understand why this is controversial. danah boyd [sic] muses on parents considering SEO (Search Engine Optimization) when naming kids. I’m not at all sure if it’s better to give a kid a unique name so that they can stand out like a shining star or to go with a more generic name so that they can quietly stay invisible if they want. There’s definitely something to be said for naming a child at puberty instead of at birth, but, well, that’s not really how American society is structured. In 2004 I started using my first name, Douglas, as opposed to the nickname Andy off my middle name, Andrew. For both my byline and for personal use. I didn’t ask people who’d called me Andy before to change; sometimes I wish I’d had. I’ll blog about why I “changed” my name someday. Especially as someone who chose the humanities in college, I get peeved when people (often bitterly) allege that the humanities are a bad choice of study because they aren’t sufficiently lucrative. This letter-to-the-editor to the NYT says the right thing about the benefit to society from humanities education. Undervaluing the humanities leads to citizens who are not willing to confront the moral challenges that make them good citizens and protect their freedoms. Not every humanities major is going to become a great advocate, and many who don’t study the humanities will become so, but without the humanities, everyone would more often encounter the problems mentioned in the excerpt above. incentive to lie is at the heart of the free-rider problem […] It’s a problem that professionals in these fields have long assumed has no solution that is both efficient and fair. In fact, for decades it’s been assumed that there is no way to give people an incentive to be honest about the value they place on public goods while maintaining the fairness of the arrangement. I’m all in favor of honesty overriding almost all other concerns (I can understand some wiggle room for etiquette-ish white lies). I wonder, though, if such fMRI tech would someday get co-opted and mis-used to trick people. Or if it’d help save the day. Stay tuned? Homeland Security is gearing up to use iris scanners to identify people, says USA Today. Talking Points Memo says Republican Mike Huckabee opposes insurance for people with pre-existing conditions, calling it impractical. How, chronologically speaking, are waking events incorporated into dreams? NYT has answers. First there is the “day residue” stage, in which emotional events [from some particular day] may work their way into a person’s dreams that night. But that is followed by the more mysterious “dream lag” effect, in which those events disappear from the dream landscape — often to be reincorporated roughly a week later. I noticed the dream lag effect when I was keeping a dream journal, which I hope to get back to doing. Dream researcher Van de Castle also mentioned the dream lag effect in his book on the subject of dreams. In my dream journal I noticed many more dream themes playing out across week-blocks of time than when I tried to find them in single isolated dreams. Scribner is trying the iTunes 99c/song model to sell individual essays, the NYT mentions in its Arts Beat. danah boyd argues Craiglist’s closing of its adult services section actually causes an increase in abusive situations. Boing Boing posts a video of an ant death spiral. My understanding of the ant death spiral is that ants sometimes dumbly follow each other’s scent-trails in circles until they all pile up in the center, dying. I believe that from their perspective, they’re walking in an straight line (think of Flatland). The comments on the Boing Boing posts are interesting and funny. The AP (via NPR) reports on a study that says making more money typically stops increasing happiness (day-to-day happiness, and overall happiness) for Americans once a person hits an income of about $75,000. After that it’s diminishing returns, a hedonic treadmill of lifestyle inflation and consumerism, etc. I guess any additional dough over $75k should mostly be socked away as savings, plus trips &tc.? For instance, instead of sticking to one study location, simply alternating the room where a person studies improves retention. So does studying distinct but related skills or concepts in one sitting, rather than focusing intensely on a single thing. […] Forcing the brain to make multiple associations with the same material may, in effect, give that information more neural scaffolding. Daniel Ellsberg, heroic leaker of the Pentagon Papers that helped stop the Vietnam War, was interviewed on MSNBC again about Wikileaks. Can’t figure out how to get an embed of this one on here; check out the link. Card 5: $75. Laurie buys $74.61 worth of food, phone minutes and cigarettes at a gas station convenience store. Returns card. Boing Boing mentions a new iPhone app, an augmented reality one, that promises to identify flight information for planes you point your phone at. The Dallas Morning News reports on the Texas education board’s new move to change Islam’s portrayal in textbooks. Members of the board’s social conservative bloc asked for the resolution […] A preliminary draft of the resolution states that “diverse reviewers have repeatedly documented gross pro-Islamic, anti-Christian distortions in social studies texts” across the U.S. and that past social studies textbooks in Texas also have been “tainted” with pro-Islamic, anti-Christian views. The New Yorker exposes the Koch brothers, who’ve funded libertarian organizations (such as think tanks including Cato, tea parties, etc.) for decades from behind the scenes. [Koch brothers’] Americans for Prosperity launched “Porkulus” rallies against Obama’s stimulus-spending measures. 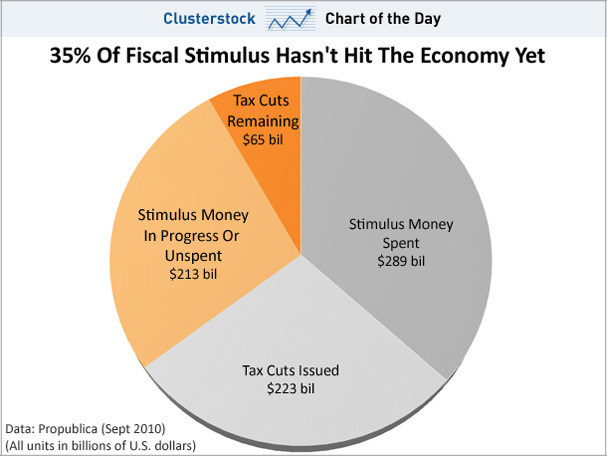 Then the Mercatus Center released a report claiming that stimulus funds had been directed disproportionately toward Democratic districts; eventually, the author was forced to correct the report, but not before Rush Limbaugh, citing the paper, had labelled Obama’s program “a slush fund,” and Fox News and other conservative outlets had echoed the sentiment. 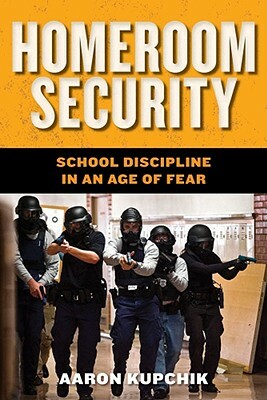 Salon.com interviews Aaron Kupchik, author of Homeroom Security: School Discipline in the Age of Fear. I acknowledge I don’t have to deal with 30 unruly kids as I teach in front of a class. So I have great sympathy for teachers who have to struggle with that misbehavior. That’s not their fault. But what I’m saying is that we have evidence-based ways of dealing with that misbehavior that are much more likely to stop it, and we don’t use them. The longest I’ve worked in any one particular classroom as a substitute has been a full week; most of the time I see a class only once. So I don’t have the experience most teachers have with students where they get to know each other well across several months. Nevertheless I can say I consider myself good at classroom management, aka crowd control, aka discipline. Managing a classroom comes down to capturing the students’ interest, and being fair, patient, and kind. Too many teachers I watch up close (and I worry that Kupchik lets them off the hook, as the interview excerpt seems to suggest he does) fail by trying — unsuccessfully — to scare the kids with meanness, including empty threats, which undermines what authority these teachers might have. I find this New Yorker profile of Facebook co-founder Mark Zuckerberg completely fascinating, much more fascinating than I thought I would. But for now I’ll keep the privacy setting as to why I find it fascinating checked, since I don’t want to go there myself, much less bring you there. Whatever ‘there’ is. Anyway. some languages, like Matses in Peru, oblige their speakers, like the finickiest of lawyers, to specify exactly how they came to know about the facts they are reporting. You cannot simply say, as in English, “An animal passed here.” You have to specify, using a different verbal form, whether this was directly experienced (you saw the animal passing), inferred (you saw footprints), conjectured (animals generally pass there that time of day), hearsay or such. If a statement is reported with the incorrect “evidentiality,” it is considered a lie. So if, for instance, you ask a Matses man how many wives he has, unless he can actually see his wives at that very moment, he would have to answer in the past tense and would say something like “There were two last time I checked.” […] Does the need to think constantly about [this sort of] epistemology in such a careful and sophisticated manner inform the speakers’ outlook on life or their sense of truth and causation? When our experimental tools are less blunt, such questions will be amenable to empirical study. Smart phone users will use QR reading apps to snap a picture of [barcode stickers at bus stops], then their phones will be shown relevant real-time information corresponding to the bus stop they are at. The military, which has forbidden its servicemembers from looking at the Wikileaks website, even if the servicemembers are good and eat all their dinners, has now purchased and destroyed 9500 copies of the 10,000-copy uncensored first edition of Operation Dark Heart, CNN says, trying to keep the information from the citizenry. Some of the 500 copies the military didn’t manage to destroy (burn?) have sold for around $2000 on eBay. A censored second edition is out now, and of course the uncensored first version is available on them thar interwebs. In the memoir, Shaffer recalls his time in Afghanistan leading a black-ops team during the Bush administration. The Bronze Star medal recipient told CNN he believes the Bush administraton’s biggest mistake during that time was misunderstanding the culture there. 3d-printing, right outta Cory Doctorow’s novel MAKERS, is “spurring a manufacturing revolution,” says the NYT. This is not a one-man or even one-group operation. It is a network of thousands motivated by a shared hacktivist culture and ethic. And with or without Assange, it is not going away.